A USA Today bestseller about forbidden love that refuses to fade. A fast-paced fantasy adventure, perfect for anyone who has dreamed of being different . . . only to discover that destiny is more than skin deep. The hilarious and heartwarming story of a classic-rock girl and a pop-starboy. She’s the perfect killing machine, until the boy she is sent to hunt becomes her only chance at freedom. From the moment Iris first learned the truth about witches she knew she was born to fight them. This New Adult urban fantasy is packed with action, suspense, and forbidden fae romance. DISCLAIMER: I had read INKED and HOLLYWOOD WITCH HUNTER before I received this sampler, but I had never heard of most of these titles. 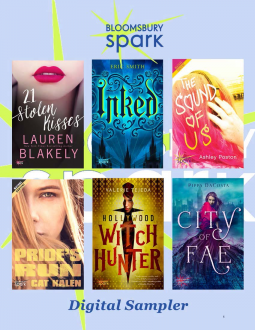 Honestly, I’d say that the Bloomsbury Spark books will probably appeal to NA readers much more than YA readers. The YA (with the exceptions of INKED and HOLLYWOOD WITCH HUNTER) reads like NA anyway. The main characters are in their late teens or early 20s. A lot more descriptive romance than YA. I usually don’t review NA, so my review of these books solely reflects my opinion, not necessarily what I think other people will enjoy. For people who do like NA and higher YA, these are the books for you. 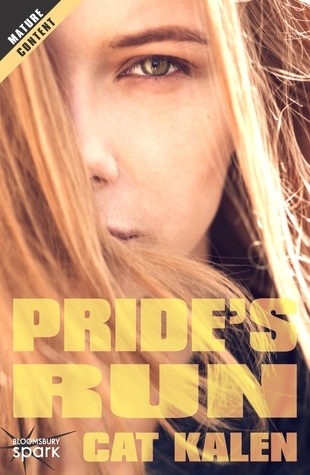 That being said, I actually ended up really enjoying what I got to read of Cat Kalen’s PRIDE’S RUN. For those of you interested in the Spark Sampler or seeing what it’s all about, it’s up for request on Netgalley until December 21st!